Abbas spokesman rejects Jason Greenblatt's comments on others filling the void if the PA isn't part of the solution in Gaza. 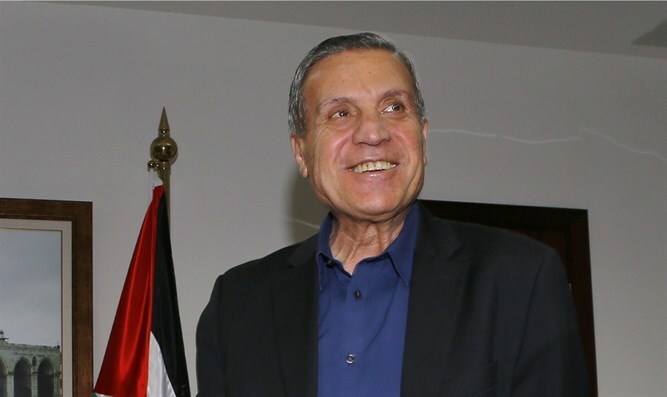 Nabil Abu Rudeineh, a spokesman for Palestinian Authority (PA) chairman Mahmoud Abbas, says that the "Palestinian people" alone will determine their future and choose their legitimate leadership, not the United States or any other entity. Abu Rudeineh said in response that said there is no alternative to the Palestine Liberation Organization (PLO), the only legitimate representative of the "Palestinian people." Anyone who presents an alternative to the choice of the "Palestinian people" will be a partner in the plot to eliminate the Palestinian problem, he added. Abu Rudeineh said Greenblatt's comments were "unacceptable" and "interfering in the internal affairs of the Palestinians." He noted that the Palestinians would oppose the American approach just as they fought the President Donald Trump's “Deal of the Century”. He called on Hamas to be aware of a plot against the Palestinian national enterprise, expressed in humanitarian aid programs, the construction of a seaport and an airport and the like, in return for giving up the Palestinian national principles, headed by Jerusalem and the refugees. The PA opposes the ceasefire agreement between Israel and Hamas that is being mediated by Egypt, and considers it a betrayal of the Palestinian national principles.